I was looking out the window tonight when I noticed that Mt. 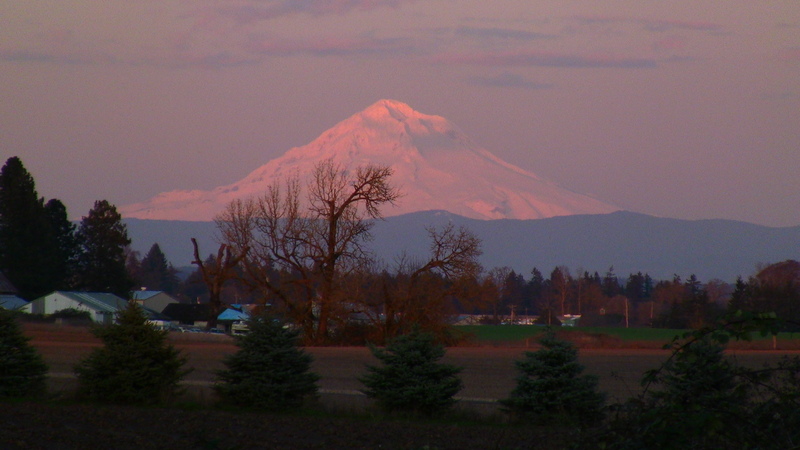 Hood look beautifully glorious in the pink light of the setting sun. So I immediately ran to get my camera and tripod, filmed the mountain for a bit and grabbed this shot. I think it turned out nicely.